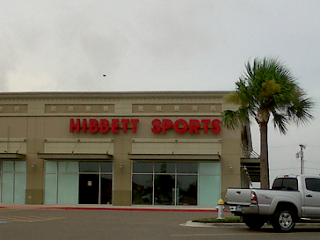 National sporting goods retailer Hibbett Sporting Goods, Inc. is pleased to announce that its newest Hibbett Sports store will be opening in the Rio Grande City, Texas market, employing approximately eight full and part-time team members. Hibbett Sports is a fast-growing operator of over 750 full-line sporting goods stores in small to mid-sized markets, most of them located in the Southeast, Mid-Atlantic and Midwest. The primary store format is a 5,000 square-foot store in dominant strip centers and enclosed malls. Hibbett Sports offers a large selection of quality athletic equipment, footwear and apparel, with a focus on knowledgeable, friendly customer service, offering customers information they can't always get at other stores selling sports products. The company features an expansive selection of brand name merchandise, with an eye toward meeting the needs of the team and individual sports participants. Another priority is offering localized apparel and accessories so that a wide range of customers within each market will be able to find just what they're looking for. Hibbett Sports has a long history of focusing on the needs of local teams and leagues, providing a variety of services to meet the needs of coaches and players alike. Hibbett Sports is the only sporting goods chain committed to serving small markets. Keeping costs low while keeping customers happy has proved to be a successful goal for Hibbett Sports as the company continues to successfully expand its number of stores across the U.S.